In an effort to bring more greenery into cities, we now have vertical gardens, rooftop gardens, urban farms and apartment walls decked in plants. Why not cover a whole skyscraper in massive trees? 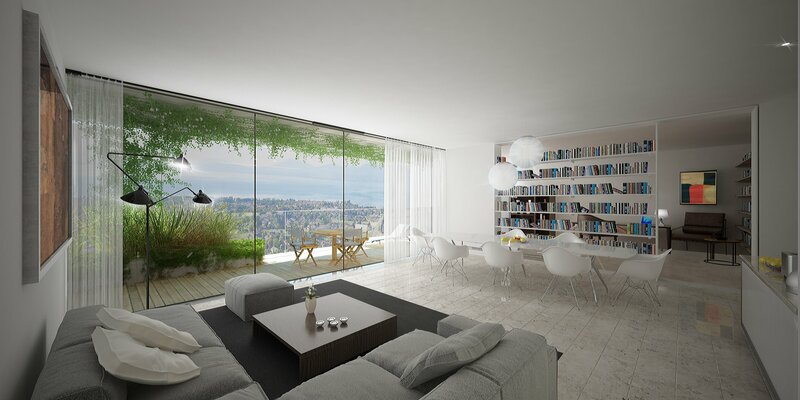 That’s what Italian firm Stefano Boeri Architetti is planning on doing in Lausanne, Switzerland. 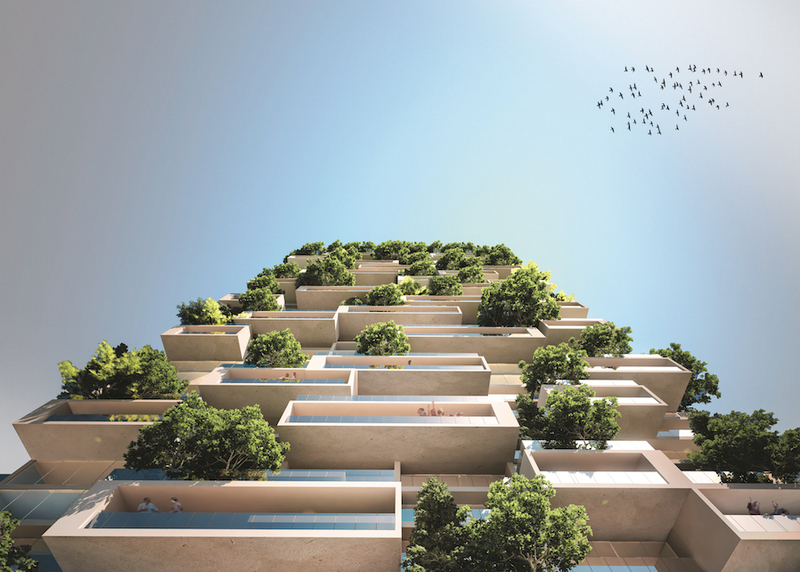 The project is called “La Tour des Cèdres” (“The Tower of the Cedars”), since these evergreen trees will be the stars of the show. 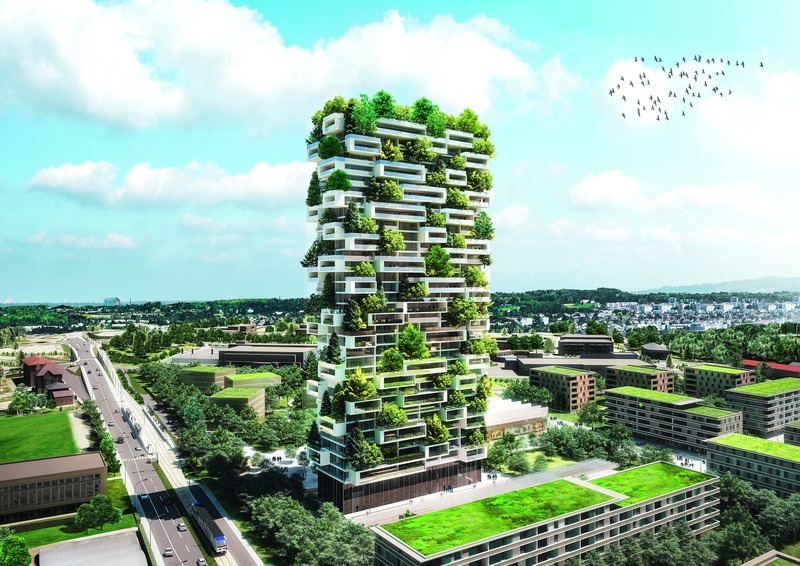 According to Boeri, The Tower of the Cedars will be the world’s first high-rise building to solely feature evergreen trees. Cedars were chosen for their evergreen nature and durability, being able to withstand all types of weather. 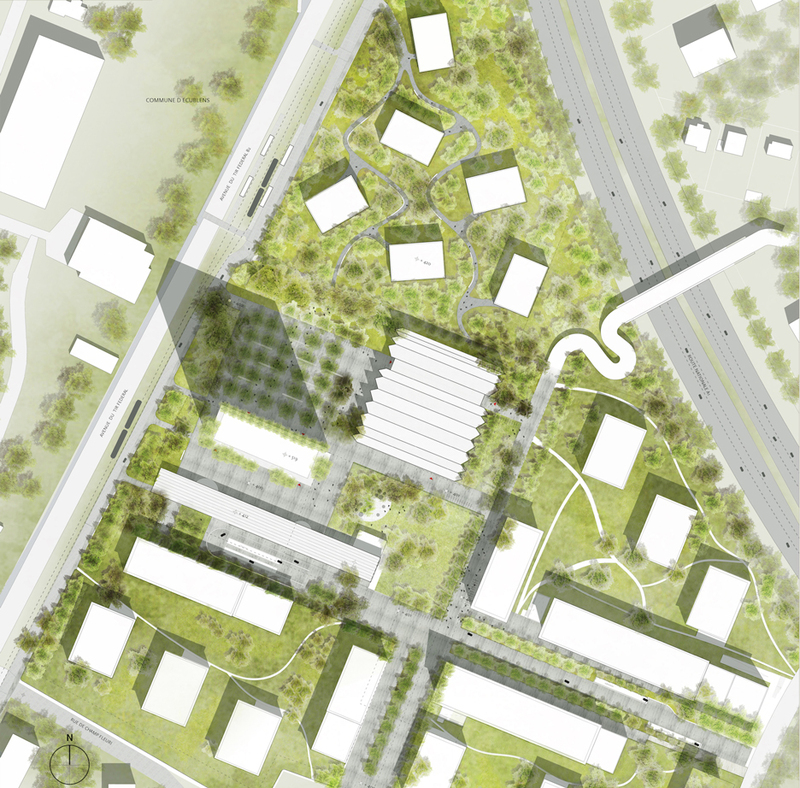 “The challenge to enhance urban biodiversity of species in our cities continues,” he said. “The Tower, also thanks to its shape and the changing colors of cedar trees and plants during the seasons, could become a landmark in the panorama of Lake Geneva,” said Boeri. Aside from residents and occupants of the edifice being able to enjoy the soothing effects of this green architecture, the trees and plants help improve air quality in the city by producing much needed oxygen and reducing noise levels. 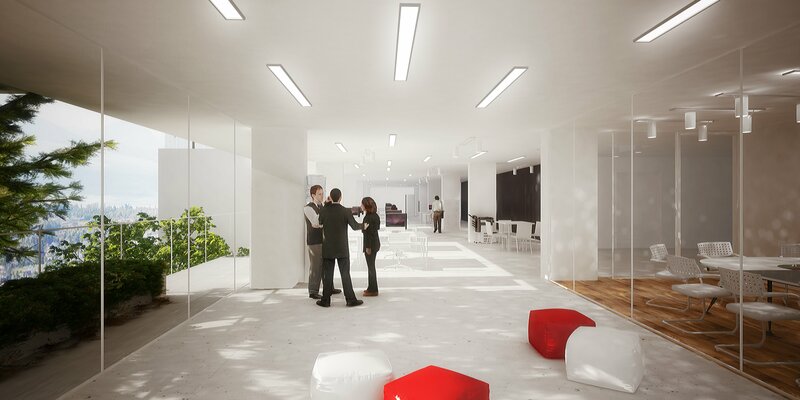 Construction of the apartment complex will start in 2017. 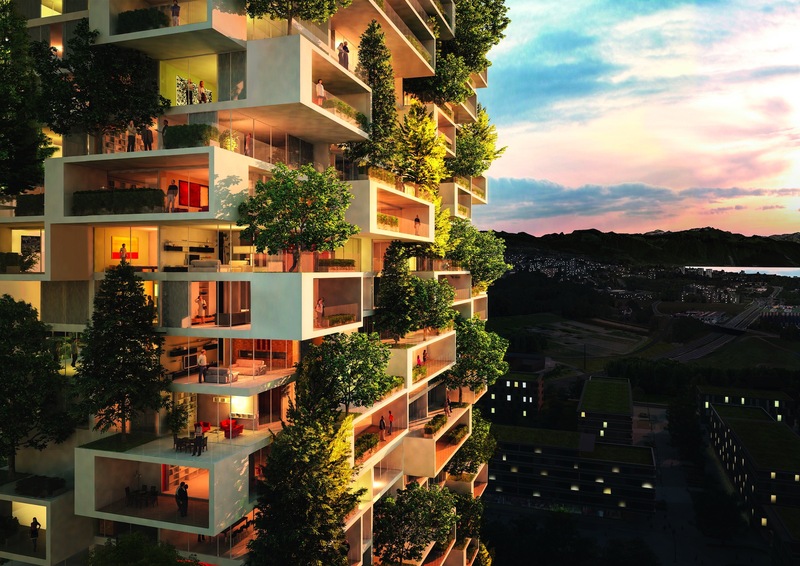 Similar vertical projects are happening in Seoul, South Korea, with the 70-story Skyfarm by Aprilli Design Studio, and the world’s tallest vertical forest, One Central Park, in Sydney, by famed architect Jean Nouvel.